The Tata Tiago may appear as a pretty rudimentary car. That is until you have Lionel Messi driving it, where the multiple FIFA Ballon d’Or winner’s star power can certainly help elevate the hatchback’s appeal to the masses (and possibly a few die-hard Messi fans). 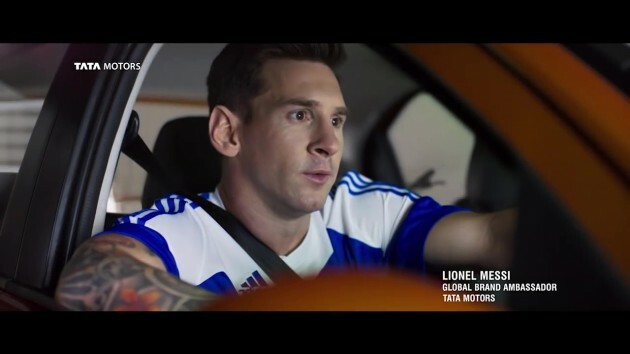 Nevermind the footballer’s ongoing tax problems, the newly appointed global brand ambassador for Tata Motors is seen in the video having a pretty fun time behind the wheel of the Tiago. The hatchback was formerly called the Zica, but was renamed because of the growing mosquito-borne Zika virus pandemic. In its native market, the Tiago is sold with a choice of two three-cylinder engines – a Revotron 1.2 litre petrol unit with 85 PS at 6,000 rpm and 114 Nm at 3,500 rpm, and a Revotorq 1.05 litre diesel mill providing 70 PS at 4,000 rpm and 140 Nm at 1,800 to 3,000 rpm. Among the notable features on the hatchback include a ConnectNext infotainment system by Harman (with steering controls and smartphone integration), electronic power steering, multi-drive mode. Furthermore, there are 22 stowage spaces littered around the cabin, including a cooled glove box. Safety kit here includes two airbags (front driver and passenger), ABS (with EBD) and Corner Stability Control. Now do u ppl understand why sales of preve, suprima n iriz so low?? If only u cud get ronaldo or messi to market p1 products surely by now proton wud have become best selling vehicle in europe..